Why do most people pick up comics as their medium of choice? Sure, there are plenty of examples of comic books making you think a little deeper about the state of things – The Watchmen is the most obvious example there. But at their core, comic books are supposed to be fun. How else can they go about sucking in readers as youngsters and hoping to maintain them for decades to follow? 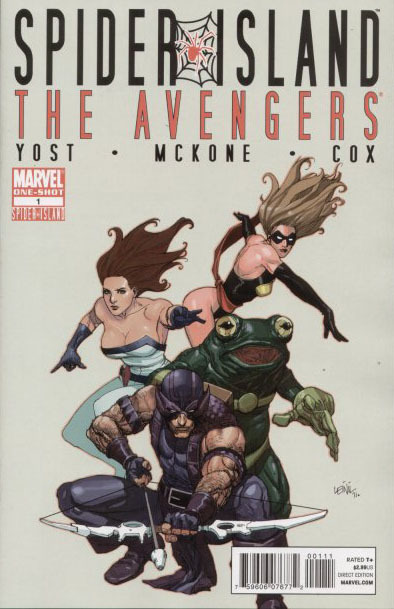 The Spider Island: Avengers one-shot is exactly that – fun. 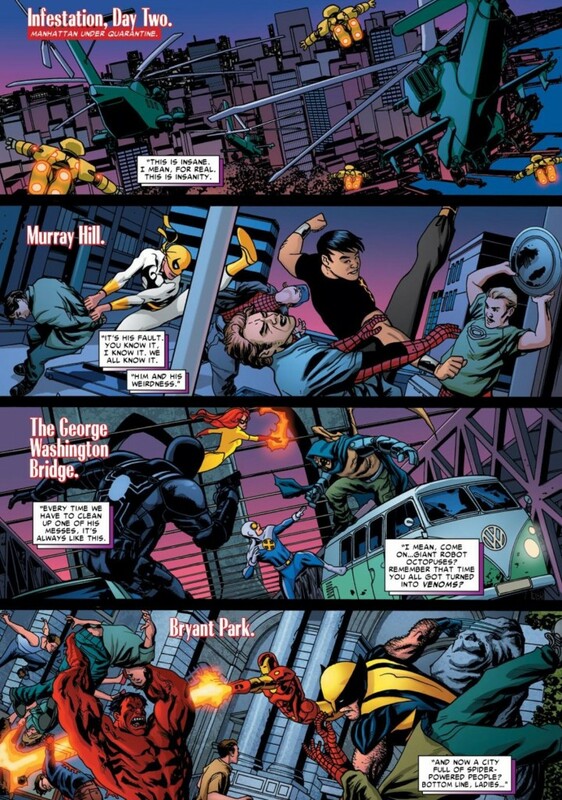 It was the kind of fun I’ve almost forgotten comic books can still provide. Sure, Spider-Man is funny – but it’s usually a wisecrack or something humorous during a tense situation. And while he’s certainly nowhere close on the “dark and stormy” scale as some characters like Batman or Hulk, you always have to keep in mind during a Spider-Man story that Peter Parker is a guy who’s experienced tremendous loss and has had to sacrifice so much personal happiness to live his life as a superhero. His comic books are obviously fun, but rarely as funny as this Avengers one-shot. 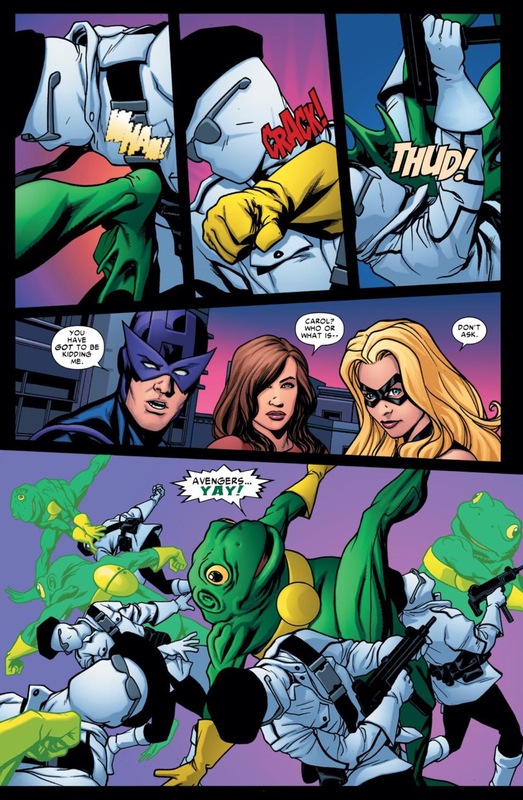 And what makes this comic funny is the fact that writer Chris Yost adapts a traditional “fish out of water” story for Spider Island, while artist Mike McKone just nails all of the ridiculous over-the-top visuals of the likes of Frog Man and Squirrel Girl. At the end of the day, the comic actually reads like its own thing and being my most cynical, was actually a pretty flimsy way to try and draw some Avengers nuts into Spider Island (I’m at a loss to determine how this story evolves the bigger plot going on in Amazing Spider-Man currently). But I honestly don’t care because as an independent story it was a terrific read. Having Hawkeye struggle so mightily with his newly acquired spider powers that he can’t even affectively pull an arrow out of his quiver – and then repeat the joke as Hawkeye becomes even more frustrated, was great. 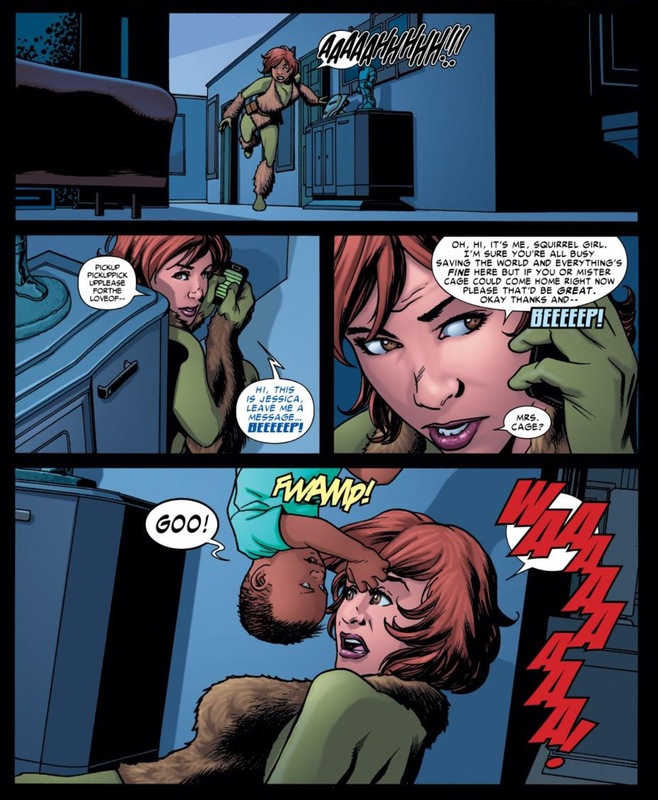 Watching Squirrel Girl get physically outmatched and exhausted by the infant child of Luke Cage and Jessica Jones who has also inherited spider powers was smile-inducing. 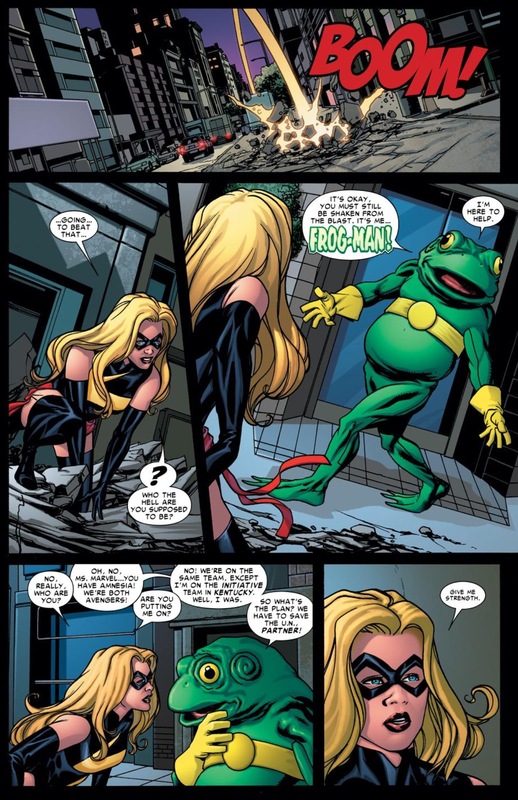 And Frog Man – a character I honestly know next to nothing about. I want to read more Frog Man now. Just funny, funny stuff. I wish I had more to say about this issue, but the story itself doesn’t really lend itself to much critical analysis. It would kind of sound like someone trying to opine on the deeper messages to be found in Something About Mary – sure it can be done, but who really wants to do that? Besides, not every post I do can be a long-form epic. Sometimes I just had to acknowledge when something was funny and move on.